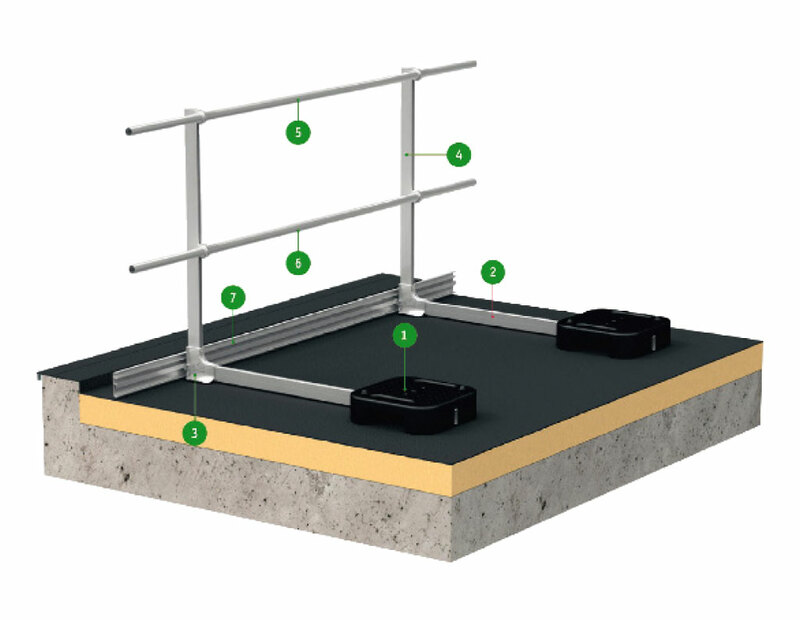 The self-supporting aluminium railing system ensures safety during servicing and maintenance on flat roofs not in public use. Barrial® Self-supporting meets all legal requirements for permanent, collective protection against falling. Handrail brackets that have been pre-assembled in the factory and easy plug connections between the supports, base sleeves and cantilever rails ensure quick, professional fitting. Only 1 tool (Allen key) is required for screw connection. Flat counterweights with 2 practical carrying handles make transport easier and blend in nicely with gravel and substrate coverings. The railing system looks very delicate and integrates well into the building architecture, particularly in the painted design (250 RAL colours to choose from). 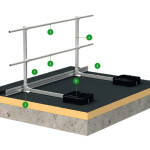 Barrial® Self-supporting complies with European safety regulations and is GS-certified. Tested and certified:Barrial® self-supporting guardrails have been tested and certified by the independent accredited testing institutes APAVE and DEKRA EXAM in static and dynamic tests that meet the European standards DIN EN I5014122-3 and DIN EN 13374 – Protection Class A. The Barrial® brand is a guarantee of a high degree of safety with the European GS safety seal and the associated annual audits of quality in production and service. BaseThe die-cast moulded part is used as a practical connection between the cantilever rail and support profile. 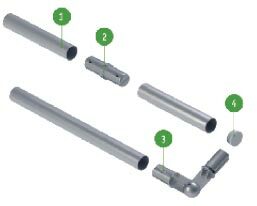 The components are simply inserted into the mounting sleeves and locked with just one screw. The support height inside the sleeve can be varied by up to 30 mm. 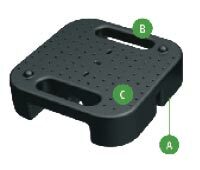 The non-slip protective cap on the underside of the base prevents damage to the seal. The cantilever rail The cantilever rail is available in 2 variants: a long cantilever rail (125 cm) and a short cantilever rail (50 cm). The counterweights are fixed using self-tapping screws. SupportsBarrial® Self-supporting has 5 different support shapes to choose from. The system blends discreetly into the building architecture and the look of the facade thanks to the curve (1000 mm radius) or pitch (15°, 30° or 45°). The inward pitch provides an additional safety gap to the roof edge.